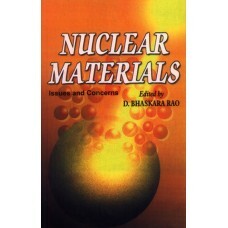 Nuclear materials have civilian utilisation too along with military utilisation. The dual nature of the utilisation of nuclear materials has originated many problems but has also created several opportunities. The developed or developing nations should try to eliminate the danger of nuclear conflicts from human life and to develop nuclear technologies that work for the welfare of the mankind. This book covers the vital issues and concerns related to nuclear materials such as nuclear research and development, disarmament and arms control, illegal nuclear traffic and its associated aspects, disposal of radio-active waste/fissile materials, decommissioning and management of surplus nuclear equipments and materials, etc. A special attention was given to Indian and Pakistan nuclear tests.